From casual gym goers to pro athletes and nutritionists, everyone is praising the benefits of carb cycling. This dietary approach alternates between low- and high-carb days plus a weekly cheat meal. It’s touted as one of the best ways to lose fat and build or preserve lean mass. 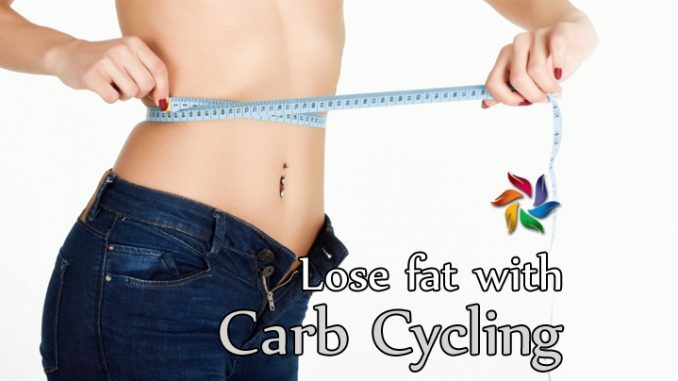 With carb cycling, you’ll reach your fitness goals and build a better body that looks and feels amazing. Until recently, athletes and bodybuilders were going through cutting and bulking phases to shape their physique. Nowadays, most gym goers use carb cycling to stay lean year round. With this approach, anyone can build muscle and lose fat at the same time. The best part is that you can enjoy your favorite foods once a week. Carb cycling causes your body to use stored fat for energy. There are several ways to incorporate this plan into your life. Some dieters alternate high- and low-carb days. Others include no-carb days too. High-carb days have the role to replenish muscle and liver glycogen stores, providing the energy needed for a challenging workout. Ideally, you should go low carb on your off training days. What makes carb cycling so effective? This dietary pattern balances your hormone levels, improves glucose metabolism, and stimulates protein synthesis. As a result, you’ll get leaner, stronger, and more muscular. It’s a safe, effective way to maximize fat burning and preserve as much muscle as possible. Unlike traditional diets, carb cycling doesn’t cause muscle loss nor affect training performance. It works for dieters of all ages and fitness levels, offering fast results. On high-carb days, about 60 percent of your calories should come from carbs. Limit your carb intake to 30-50 grams on low-carb days. Although no foods are banned, it’s recommended to eat clean. Lean meat, fish, whole grains, and veggies should come first on your list. These foods fuel muscle growth and keep you energize while promoting fat loss. Nutritionists and fitness pros suggest taking a cheat day once a week. Its role is to boost your motivation and make dieting easier.